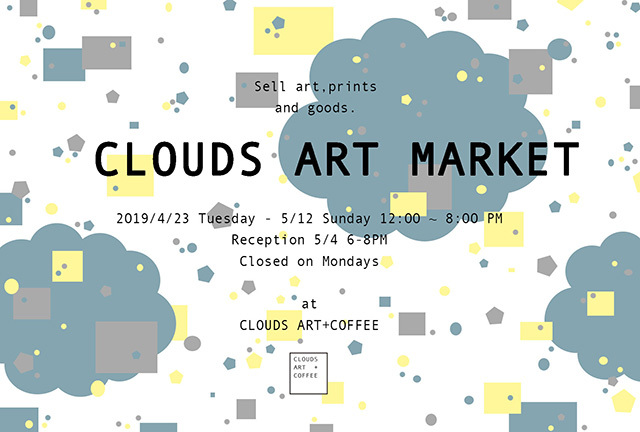 “CLOUDS ART + COFFEE is an Art Space + Coffee Shop in the heart of Koenji, Tokyo. Located just a few minutes from Koenji station. Since we opened our doors in September 2017 we have curated and organised diverse art exhibitions in a dynamic program of shows and events of one, two and three weeks rotation. Our gallery space welcomes every expression of creativity. We offer artists the possibility to show themselves in a free way, despite the nature of their work. So happy to have a few of my paintings to show on Clouds Art Market soon! The exhibition days are 23th of April to 12th of May and the address is: 25-4, Koenjikita 2-Chome Suginami, Tokyo.